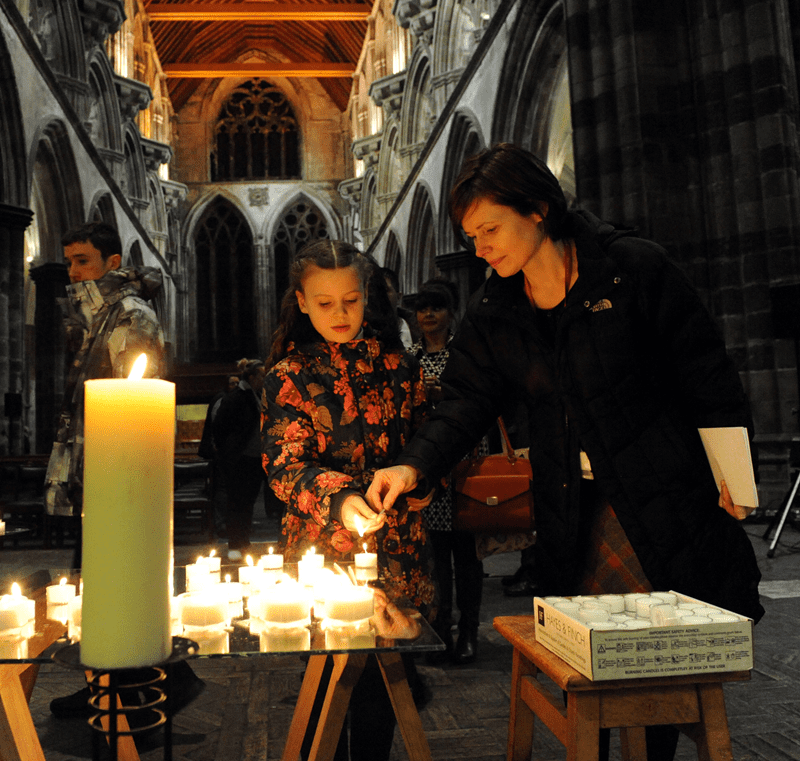 The community of Renfrewshire has come together in solidarity for those affected by terrorist attacks in Paris and elsewhere at a vigil in Paisley Abbey. The event was a chance for people to pay their respects to victims of Friday’s incidents in the French capital, as well as those in other global tragedies. The vigil was a chance for people to pay their respects following Friday’s incidents in the French capital and other global tragedies. 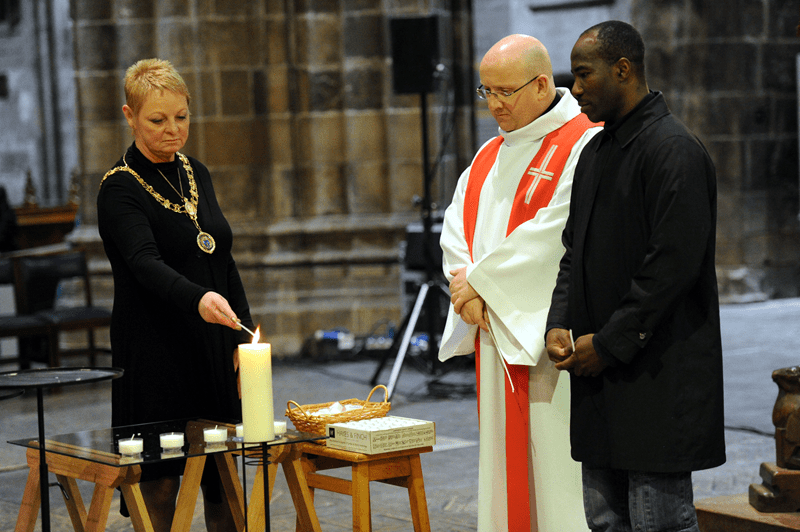 A short service was led by Rev Alan Birss of Paisley Abbey, who was joined by Father Frank Hannigan of St Paul’s RC in Foxbar and Pastor Samuel Yerokun, Chairman of the Association of African Communities in Renfrewshire. Renfrewshire’s Provost Anne Hall represented the council at the event and joined members of the community in lighting a candle for all those affected. Provost Hall said: “Over the weekend, we saw the full horror of the events in Paris, which have shocked and saddened the entire world. “The people of Renfrewshire were quick to express their solidarity with those affected by the attacks – and we wanted to give them a chance to come together and do so publicly. “At the same time, we are also considering other tragic events around the world – such as last week’s bombing in Beirut. “Our community has already demonstrated its compassion following the distressing episodes over the weekend. Rev Alan Birss added: “It was heartening to see the community of Renfrewshire show its support to all those affected by the terrorist attacks in Paris and in other parts of the world.